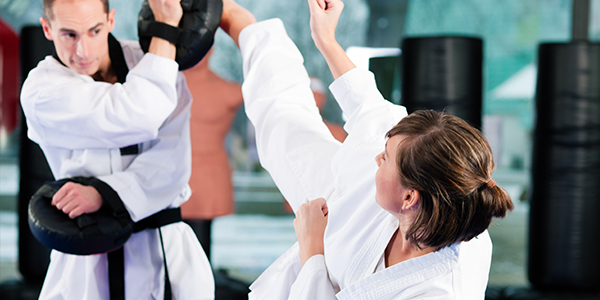 Rooted in traditional Taekwondo, our “Teen & Adult Program” helps students develop fitness and self-defense skills in a fun, challenging setting. Our Tiny Tiger program focuses on listening skills, coordination and basic martial arts all taught in an age appropriate way. 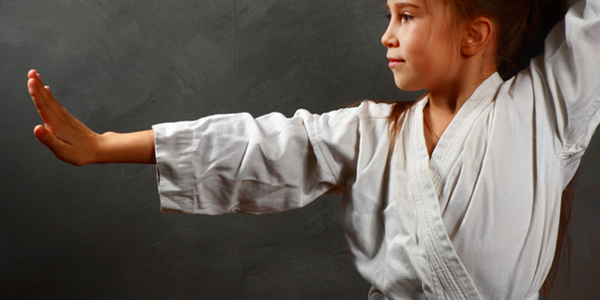 Our children’s program teaches traditional Taekwondo and Life Skills while encouraging students to hold themselves to high standards both in and out of the school. "We're hooked — all 5 of us, all ages!" If you’ve been looking for a quality martial arts studio in Colorado, look no further than Thrive Martial Arts. Located in Windsor and Fort Collins, our two locations have served thousands of students who wish to hone their self-defense skills and pursue the path to black belt. 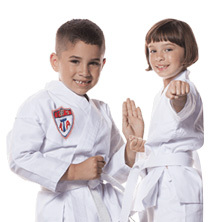 While many people think of karate studios being primarily aimed towards children, we have programs that cater to every age. While your youngest children from ages 4 – 6 are learning the basics in our Tiny Tigers classes, you could be learning advanced techniques with fellow adults in our adult courses. And, of course, we teach every age in between. 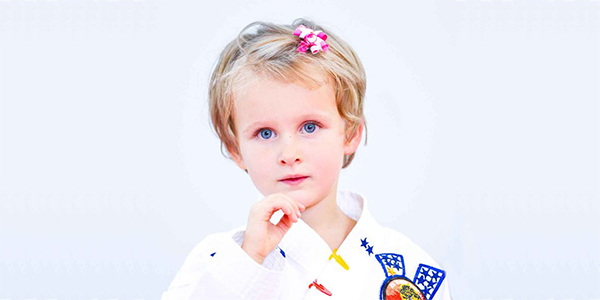 Kids aged 6 – 12 can enjoy our Karate Kids program, and teenagers learn alongside adults, being old and mature enough to learn the most advanced techniques. Self-Defense Skills: It wouldn’t be martial arts if you weren’t learning self-defense. In every one of our programs, we teach valuable self-defense skills that can aid you for the rest of your life. 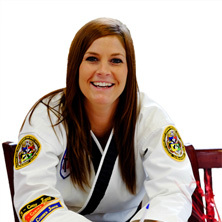 We work in conjunction with the American Taekwondo Association (ATA) to provide a comprehensive self-defense education in the discipline of taekwondo. Physical Fitness: Martial arts work both the body and mind, and if you’re looking for an activity that will encourage you or your children to be active, our programs are a perfect choice. Martial arts are physically demanding in nature. 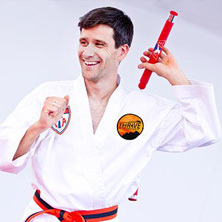 In addition to the natural workout you’ll get from mastering taekwondo techniques, we also include physical conditioning from time to time in our classes. Camaraderie and Bonding: Martial arts are an amazing way to meet other like-minded people. 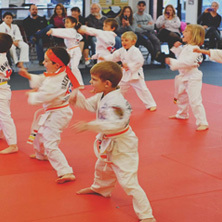 Whether you’re looking for new friends that your child can bond with, or you’re an adult who’s stuck in the rut of not having any avenues to meet new people, you’ll be able to make friends and form connections with fellow martial arts students. Self-Discipline: A strong aspect of martial arts, our style of taekwondo included, is the emphasis on self-discipline and having control over your body and mind. Walking the path to black belt will help you to hone these skills, which will be inestimably useful for the rest of your life. Curious? Sign Up For a Free Trial! We understand that martial arts might not be for everyone, and we know that one monetary transaction is enough to hold people back from trying it out. That’s why we offer a free trial to anyone who’s interested in demoing our programs. If you find that you like it, we can sign you up as a student and begin your journey to black belt. If not, nothing is lost and you can feel more confident about your decision. Our free trial is good for your first class, then a discounted rate of $55 for additional classes, allowing you to get a good idea of how we work. Are you ready to get started? Sign up today, and choose the class that’s appropriate for you, your child, or both! And schedule your free introductory class!